The Rotary Club of Oberlin will hold its annual fund raiser on Oct 13th. 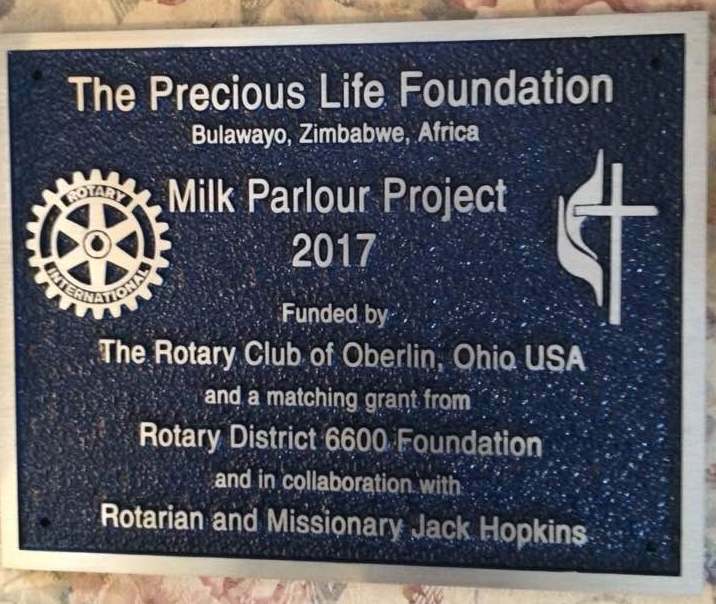 This year the theme is "Rotary at the Races"
The Oberlin Rotary Club was one of several partners in the construction of a new milking parlor at the Precious Life Foundation near Bulawayo, Zimbabwe. The Foundation operates a program home for teenage girls who are pregnant or who have given birth. Many of the women face the double challenge of young motherhood and social ostracism. The parlor project was intended to provide the residents of the Precious Life Foundation with the means to produce dairy products for their own diets and for selling. Oberlin Rotarian Mary Aufdenkampe already had a strong connection with the Foundation through Jack Hopkins of the Geneva Rotary Club, who had all worked together to install a new water well at the Foundation just a few years ago. Mary met with Rotarians from Africa at the Rotary International Conference in Atlanta and they set on this new project to continue improvements at the Foundation. Milk from the new parlor will provide nutrition for the young mothers and their children and operating the parlor provides them with professional skills. 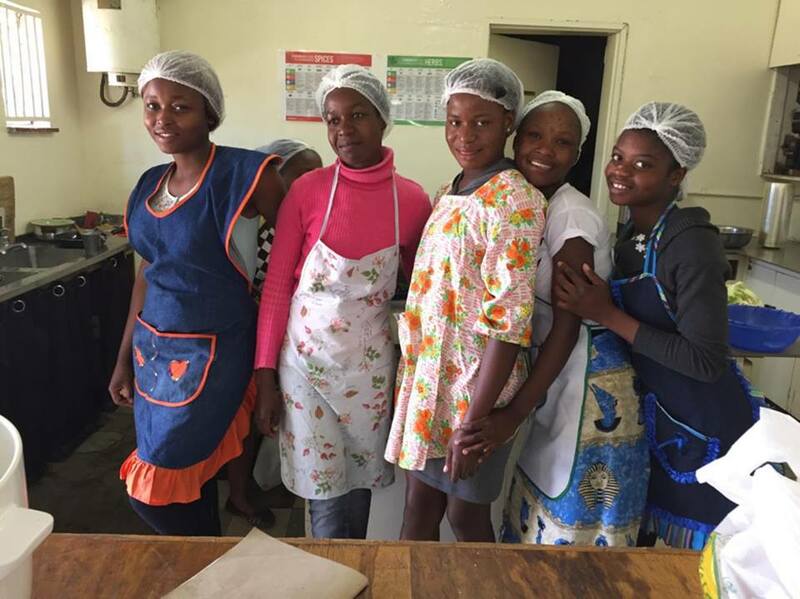 The new sanitary standards of the parlor also allow the Foundation to begin commercial production and set more women on the path to self-sustainability. Jack Hopkins coordinated the purchase of materials and initial construction from abroad and then traveled to Zimbabwe in the spring of 2018 to assist with the final construction. When he went, he also brought over 200 pillowcase dresses for local girls and coordinated the purchase and planting of fruit trees for the Foundation's orchard. The dresses were made by Rotarians and volunteers of the Methodist Church. 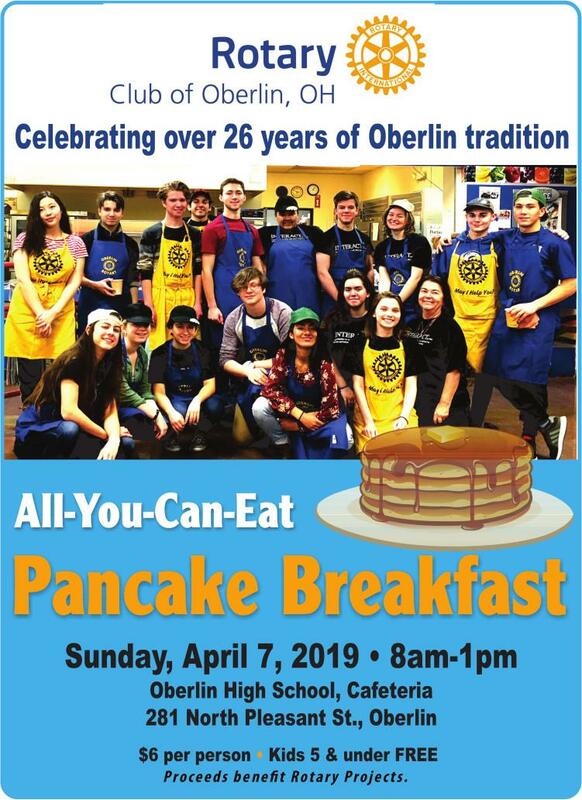 The Oberlin Rotary Club led the project with a pledge of $4000, which was then matched by Rotary District 6600 through a grant. The remainder of the project costs were supported by Geneva Rotary Club, Geneva United Methodist Church and other churches, and individual donors. This was a wonderful collaborative project that addressed several areas of Rotary International's Areas of Service, including Maternal and Child Health and Economic and Community Development. I just got back from a year long exchange in Santa Catarina, Brazil. It was the most incredible experience of my life! I lived with three different host families and got to experience Brazilian high school for the first time. I also got to learn one of the most beautiful languages, Portuguese. I was fortunate enough to travel a lot through Rotary and got to see many beautiful cities along the Northeastern coast of the country. This helped me to learn so much about the different aspects of culture that the country holds. In my spare time I decided to take a Capoeira class, which is form of Brazilian martial arts. I also volunteered at the local English school to help Brazilian students learn English. It was such a great experience that truly opened my eyes and allowed me to learn so much more in one year than I ever had before. I would recommend Rotary Youth Exchange to anyone who wants to broaden their perspective on the world and travel. 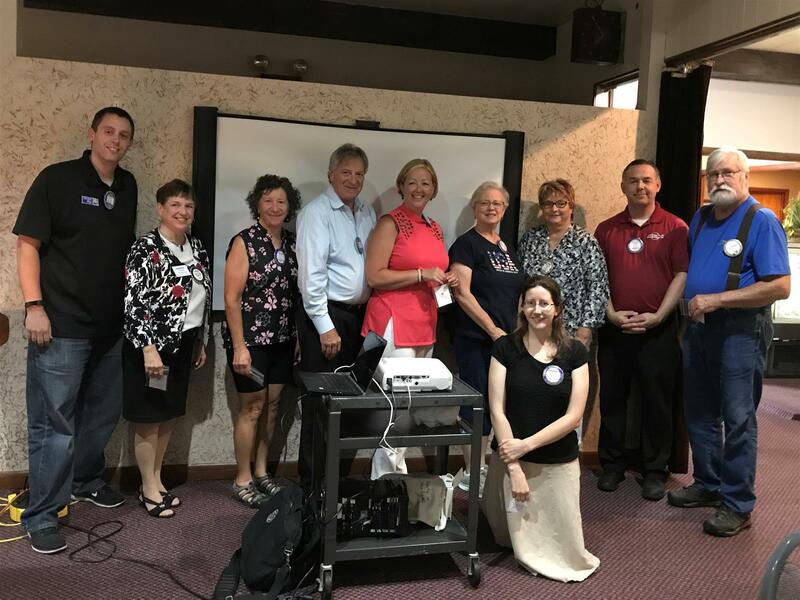 Club members who provided ten or more hours of community service, such as delivering food to individuals or families, were recognized at our Friday meeting on July 21st.